“The rumour was started by the Arizona Department of Transportation: a suspicious looking “thing” was spotted on some highway cam in one of the most remote areas of the Grand Canyon state. Was it a yeti, was it a sasquatch or was it Big Foot? Since then the hunt has been on for the now infamous Arizona Beast – dusty, spiky and – of course – bearded. We have chosen to believe that it’s out there – somewhere. Bearded indeed were Arizona Wilderness brewers Jonathan Buford and Patrick Ware when they came to brew at Amager – after a small morning detour to Sweden or Norway or somewhere…admittedly European geography CAN be confusing. It was a day of good fun, laughter, drinking and a little brewing. 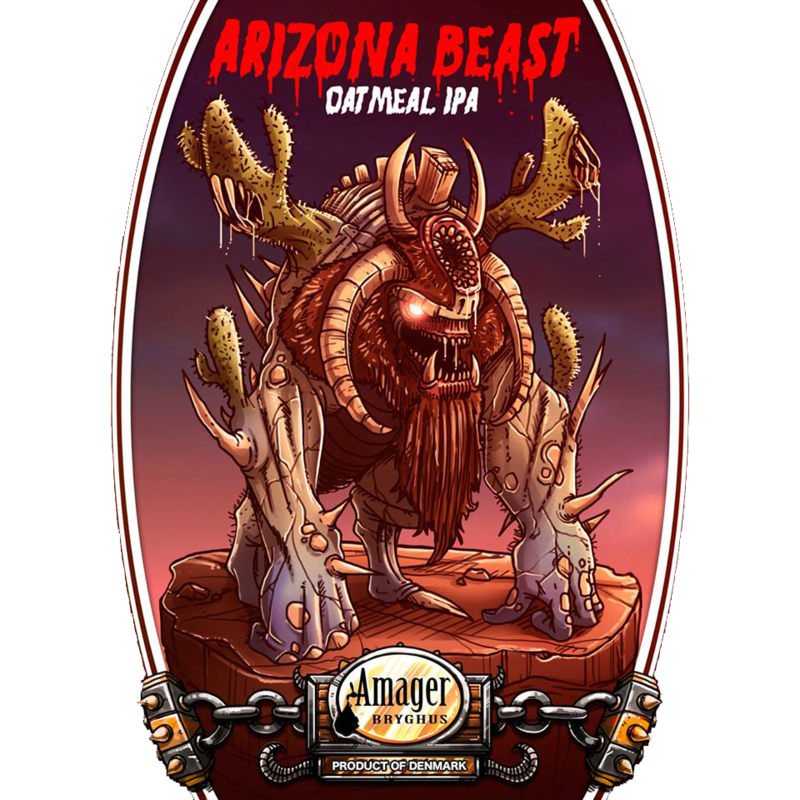 We hope you’ll enjoy our baby beast of an Oatmeal IPA.